Videoslots.com offers several different payment options for online payments. We strive to make it easy for you to both deposit and withdraw money in a secure and easy way. All deposits and withdrawals are made directly on our website. Euteller is the leading payment method in Finland, which provides instant deposits through players bank accounts. Deposit or withdraw money directly from your online bank account with Trustly. It is easy, fast and secure! Simplify your gaming experience with Zimpler; a mobile payment service that allows you to make quicker, more efficient, and secure deposits from the palm of your hand. Anytime, anyplace! SIRU Mobile is a quick and reliable micro-payment service – which offers players the ability to make deposits through their mobile phones from Finland, Norway, and Sweden. All transactions using Visa and Mastercard are immediate, processed by one of the world leaders in payment processing, named Wirecard. A secure online money transfer service is one of the leading service providers in the industry. Opening an account is free of charge and takes less than 5 minutes. Citadel gives you a better banking experience. A full range of products are offered by this payment provider which makes your transactions safe and secure! With Entropay, anyone can make online payments, regardless of their location or credit-worthiness. Entropay is fast and seamless for all. Interac is the best payment solution for all Canadian people who choose the security and convenience of this brand for their money transactions. Freedom to spend your money anytime, anywhere with total peace of mind. The ecoAccount brings you safe and hassle-free ways of receiving, sending, and spending money worldwide. Flexepin is a fast, secure, and private method of funding your account by using a prepaid voucher. The vouchers can be purchased at over 1,000 sales outlets. With Neosurf, you can purchase a prepaid code with cash and pay online on over 20,000 websites and 135.000 points of sale worldwide. Paysafecard is the European market leader in online prepaid solutions. Make safe online payments without a bank account or credit card. SMSVoucher is a mobile voucher solution that allows you to top-up your accounts through secure, friction-free, online payment. Bank Wire transfers can take up to 5 working days. Note that all fields except sort code are required. Make instant payments directly from your bank account with Instadebit, the simple way to deposit and withdraw funds online without sharing your private information with merchants. Direct Bank transfer - use your online banking login details, both convenient and secure. At Videoslots.com, you have one free withdrawal per day with no fee. You can, of course, withdraw more frequent if you would like to. Those withdrawals after the free first one will then come with a charge of € 2.5. We also reserve the right if there is no, or minimal turnover, since the time of the last deposit we might charge a fee of 3.9%. Approved transactions are automatically credited to the Player's Videoslots account to allow uninterrupted playing. Your credit card will be billed immediately after purchase. It will appear on your monthly statement as Panda Media Ltd.
All our deposit and withdrawals with VISA or Mastercard is processed through Wirecard. Wirecard is a card transaction service provider who is a highly trusted, publicly listed payment service provider, traded on the DAX stock exchange. Videoslots.com is also secured with 3D secure. We accept Visa Debit, Visa Credit, Visa Electron, Maestro and MasterCard for depositing. All other countries it is possible to make withdrawals onto the same card that has been used to deposit and subject to our standard anti-fraud and security checks. However, older cards may not have the possibility to receive money, contact your bank for further information. Paysafecard is the European market leader in online prepaid solutions. Prepaid means that you buy Paysafecard from one of 450.000 sales outlets available and use it to make safe online payments without a bank account or credit card at 4.000 participating online web shops. Paysafecard is a popular payment method with service providers in the fields of gaming, social media & online communities, music, film & entertainment and more. Buy Paysafecard from a local sales outlet. When you buy Paysafecard, you can choose between the following amounts: € 10, € 25, € 50 or € 100. Pay with Paysafecard at web shops by simply entering the 16-digit Paysafecard PIN. You can make larger payments by combining up to 10 Paysafecard PINs. Combining PINs also allows you to use up any remaining credit on a PIN. SKRILL is a secure and convenient method to transfer cash online. It provides real-time instant payments supported in over 20 currencies. After opening your free SKRILL account, it can be used to make direct deposits at Videoslots.com and many other online businesses. Setting up your account on SKRILL is easy. Only a valid email address is needed for registration. Simply submit the completed online registration form. With SKRILL you will no longer need to expose your credit card information every time you shop online. SKRILL can process the payments for you securely. All you need to send a payment is the recipient's email address. This eliminates the hassle of dealing with complicated bank wire forms and the inconvenience of sending and depositing cheques! You can use your SKRILL account to withdraw funds via Bank Transfer, Credit Card, E-Gold, and Check. You can access your account anytime, anywhere, via the SKRILL website. Sign up for your free SKRILL account now. It's quick, easy and confidential! Once you've signed-up at the SKRILL website, all you'll need is your username (or email address) and password to make transactions. Log in to the casino and go to the banking section. Select SKRILL, and enter your SKRILL username and password, then hit "Next". Enter the amount you wish to deposit and that's it - your deposit will be instantly reflected in your casino account. Now click here to open your free SKRILL account. Neteller provides an efficient and secure method to make online transactions. It offers same-day payments and virtually instant cash transfers. After you open your free Neteller account, you can use it to make direct deposits at Videoslots.com and many other online businesses. Neteller keeps your credit card details and payment history confidential. You can access your account balance and transaction history anytime, anywhere, via the Neteller website. Sign up for a bank account with Neteller, and you will get instant access to funds in your bank account which will enable you to apply for InstaCash Deposits. For further details, please log into your Neteller account, and click on the InstaCash Logo. The relevant information required: bank name, bank phone number, bank routeing number and bank account number. To confirm your identity, you will be asked to confirm three facts about your financial history. Once your identity has been verified, this information will be destroyed. Neteller does not keep, retain or file this information. You will now qualify for a € 750deposit limit through Neteller. Neteller will make a 'micro deposit' to your bank account for you to verify. If you confirm this amount correctly, you can increase your deposit limit. Once you've signed-up at the Neteller website, you'll receive a unique personal Account ID and Secure ID. Log in and choose the Deposit tab on the main menu and select Neteller. Enter your Neteller Account ID, Secure ID and the amount you wish to deposit. To make sure you will benefit from the quick and easy InstaCash process don't forget to enter the last 4 digits of the registered bank account in the required field to initiate your InstaCash transaction. Otherwise, your transaction will go through as a normal Neteller funding request. Now hit "Next". That's it - your deposit should be instantly credited to your main account. Bank deposits to Neteller accounts can be made through any bank. Please notify Neteller by fax with the deposit slip once you made your deposit. The funds will be deposited into your Neteller account as soon as Neteller gets confirmation from the bank. Citadel Commerce is one of the most trusted and reliable payment providers offering simple banking solutions giving you an easier and more valuable experience. Since launching in 2000, Instant Banking has continued to grow and enable merchants and customers to use the best online banking technology. 3) Log into your bank account, approve the payment and finalise your transaction. Start using Instant Banking immediately and merchants will receive notification of your successful payments. Instant Banking by Citadel keeps customers safe by adhering to authentication and privacy protection standards required by supported banks. Your credentials will not be stored in any of Citadel systems which follow the KYC and Anti-Money Laundering requirements. Your transactions can be completed whenever and wherever with the easy and secure desktop and mobile-friendly experience. For further information about this payment provider click here. Neosurf is an online payment method where you can purchase a prepaid code with cash and pay online on more than 20,000 websites and 135.000 points of sale worldwide. The process is both fast and simple. Step 1; Find a shop in the location finder here to see where you can buy your Neosurf voucher. Simply type in where you are, and all locations available will be displayed. Step 2; Simply ask for a Neosurf cash voucher in the shop for a worth of your choice. No registration or further details are required. Pay with cash and receive a 16-character voucher code which you need to use to be able to make your payment online. Step 3; Go to your favourite website and simply choose to pay via Neosurf. You need to enter the code on the receipt and the deposit is then in place. Neosurf does not use any personal information, there is no need to register beforehand, and your voucher is always ready to be used the moment after purchase. If you want to read more information about this payment option, you can do it here. Freedom to spend your money anytime, anywhere with total peace of mind The ecoAccount brings you so many safe and hassle-free ways of receiving, sending and spending money worldwide. It’s free to open an account, and no bank account or credit check is required. Just click here to sign up for your free EcoPayz account now. Flexepin is a fast, secure and private method of funding your account by using a prepaid voucher. Vouchers can be purchased at over 1,000’s sales outlets. To locate your nearest outlet or for further information, please visit www.flexepin.com. Once you have purchased your Flexepin voucher featuring a unique 16-digit code, you can deposit funds into your account. To do this, click on Deposit and select Flexepin from the list of available payment methods. Enter the 16 digit Flexepin code and click Make Deposit. Once complete, the full voucher amount will be instantly credited to your account. There are no charges for using this method. This payment method does not support Withdrawals. If you want tor read more about Flexepin, you can do it here. Sign up for free and transact at the same time – no waiting for activation or approval. Use INSTADEBIT anytime, anywhere with mobile-friendly payment pages. INSTADEBIT supports every bank and financial institution in Canada. Withdraw winnings directly to your bank account or redeposit to merchants from your INSTADEBIT account at a later date. Learn more about Instadebit by clicking here. Euteller is an easy, fast and safe method to make deposits online. It provides instant payments, which are made with bank transfer. Using the service requires a Finnish bank account and online bank logins. Euteller operates currently with following banks: Nordea, Sampo, Osuuspankki, Säästöpankki/Akita, Tapiola, S-Pankki, Handelsbanken and Ålandsbanken. Enter the amount that you wish to deposit and click "Next." 1,95% service fee will be added to the final amount. Minimum service fee is € 0.8 and maximum is € 2.95. The deposit will be charged instantly from your Bank account, and it will be displayed on your account statement as Euteller Oy. If you want to read more about this payment provider, click here. With Entropay, anyone can make online payments, regardless of their location or credit-worthiness. Entropay is a leading fintech sector in making online payments faster and more seamless for all. To start using Entropay you simply create an account, fill in all information requested and get a disposable card in less than 60 seconds with your chosen currency. This method also offers the ability to create and delete cards instantly, meaning that the risk of fraud and fishy charges minimizes. If you wish to read more about Entropay, you can do it here. Interac is a secure and convenient platform for money transfers, with an average daily usage of 16 million in Canada. This payment provider is constantly working to innovate and evolve across multiple devices and platforms. Interac offers world class security, strong consumer protections, zero liability, and leading fraud detection systems; as well as simple and fast solutions that allow you to pay by using your own money. If you wish to read more about Interac, you can do it here. SMSVoucher is a mobile voucher solution that allows you to top-up your accounts through secure, friction free, online payment. By using SMSVoucher, the risk of having your identity and banking information exposed online is eliminated. This makes it safer than conventional online payment methods. Trustly is a fast and secure payment method, free of charge. With Trustly you can deposit or withdraw money directly from your online bank account. It is easy, no sign-up or software installation is required. All you need is your regular online bank credentials. For more information, click here: What is Trustly?. Simplify your gaming experience with Zimpler; a mobile payment service that allows you to make quicker, more efficient and secure deposits from the palm of your hand. Anytime, anyplace! Just add your mobile number and follow the instructions. If you want to read more about Zimpler, click here. SIRU Mobile - Make a quick deposit via your mobile phone! Siru Mobile is a fast and reliable micro-payment service – which offers players the ability to pay for their purchases and make deposits through their mobile phones. You don’t need a credit card or bank account. All purchases will be added to your monthly phone bill. Through Siru's Mobile Payment Service it is possible to make mobile purchases for a value of 5 - 30 € and 50 – 200 SEK/NOK. The service can be used with all Nordic operators with no inhibiting operator-specific service numbers. Players can use the SIRU Mobile Payment Services in the same way as any bank payment options. Players have the possibility to make purchases for a value of 300 €/ 30 days /subscription. You can also check your balance easily by visiting this page. If you have any questions about mobile payments, please click here. Siru Mobile has Customer Support in three different languages, including English, Finnish, and Swedish. You can contact them through their form which you can find right here, or you can check out their FAQ´s for the most common questions and answers. Read more about Siru Mobile here. Klarna works much like a bank wire transfer or Trustly. With Klarna online payments are easy. You can use your own online banking login details – convenient and secure. Firstly you select your country and with the help of the bank’s sort code, choose the bank that will carry out the transfer. Secondly, you'll see the login section of Klarna´s secure payment form. Login with your own online banking login details. This information will be sent to your bank in an encrypted form. Last but not least, you will be asked for a verification code. Once the transfer has been authorised, it’s complete. With Klarna, you can deposit money directly from your online bank account. 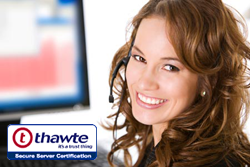 So complex yet so easy and swift, no registration or software installation is required. Klarna Banking is an online direct payment method and works by tried-and-tested online banking. The big advantage is: You don't need to register or open a virtual account, known as a wallet. It is an immediate and direct transfer of funds. Read more about Klarna here. Its easy and secure to make a deposit at Videoslots.com. 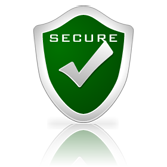 We provide the same levels of security as your bank when transferring your funds. our website is encrypted with 256-bit Secure Socket Layer (SSL). VeriSign verifies the SSL certificate we use, meaning that a third party can read no information sent from our site. 24-hour support every day, seven days a week, 24 hours a day. Credit Card number and other classified information will be sent over a secured, encrypted connection. Details are fully encrypted by 256-bit SSL encryption, for total security. When data is transferred over the Internet, our e-commerce partner and we use 256-Bit Secure Socket Layer Encryption Technology to ensure the security of all data. This is the encryption technique of choice globally for leading financial institutions. Risk Sentinel, an advanced fraud-management software that protects Videoslots Players from online fraud, has been implemented to provide you with ongoing protection. Transaction processing is handled by Videoslots Ltd of Europa Business Centre, Level 3-701, Dun Karm Street, Birkirkara, BKR 9034, Malta (ru20.videoslots.com). Videoslots Ltd is a company incorporated under the laws of Malta and provides the services on the casino website ru20.videoslots.com in cooperation with its subsidiaries and partners, including Panda Media NV. All references to the company and brand name Videoslots on this site are also to the benefit of subsidiaries and partners of Videoslots Ltd, including Panda Media NV. The information provided will be treated as strictly confidential and will not be sold to others. It is recommended you only participate in any gaming events if it is legal for you to do so according to the laws that apply in the jurisdiction from where you are connecting or calling. You must understand and accept that we are unable to provide you with any legal advice or assurances. For more information, also see Responsible Gaming and Terms and Conditions.